Don’t settle for the amateurs, come to the professionals. 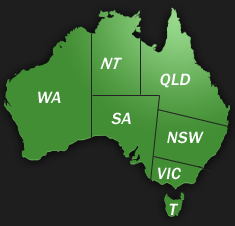 With a tremendous amount of industry experience and a fully qualified team of temporary fence experts, you can be rest assured that TFH Hire – Temporary Fence Mackay are the true local professionals in Mackay. TFH Hire – Temporary Fence Mackay offer prompt delivery times with transport and installation by our highly experienced staff. At TFH Hire – Temporary Fence Mackay, we have demonstrated a capacity to not only provide the required quality product, but to also meet the stringent time constraints in regards to the installation and dismantling of temporary fencing. If you’re looking for the strongest fences for your residential, commercial or industrial premises, than look no more. 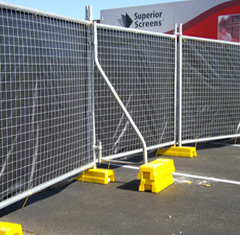 TFH Hire – Temporary Fence Mackay provide you with sturdy and robust temporary fences that can last you a lifetime. Our Industry experience at TFH Hire – Temporary Fence Mackay shows our commitment to the provision of temporary fencing services which comply with relevant WH&S requirements whilst providing a safe efficient service. So with the social and technical skills to assist you with any temporary fence needs, give TFH Hire – Temporary Fence Mackay a call today.